In 2018, we regularly hear about the importance of fostering a culture of transparency for tech startups. Sharing knowledge, resources, and contacts are key to the startup economy and helping startups grow. Yet there is still one major question before many founders: how are today’s leading startups spending their money? If you’re a startup trying to understand how you measure up to others, it’s hard to know where to invest your time, money, and resources. When startups have a 50% chance of failure, you can’t afford to be using your startup capital without a roadmap, especially when 82% of startup failure is due to cashflow problems. At Brex, what we’ve learned is that a culture of transparency empowers startups to learn from each other, grow their businesses, and ultimately make better decisions. With that in mind, we set out to discover how top startups are allocating their venture dollars (often called “burn”). What technology is giving them a competitive advantage? Are startups spending their money differently regionally? What industries have the highest burn-rates? We leveraged data on Y Combinator companies using Brex to create a benchmark for leading emerging companies and analyzed how they measure up to other startups from all stages. This report aims to provide insightful context on what and how startups should be spending their investment dollars, therefore enabling founders to have honest discussions with each other about how to wisely spend their funding and grow their businesses. So what were the major takeaways our data revealed to us about how startups are spending their money? 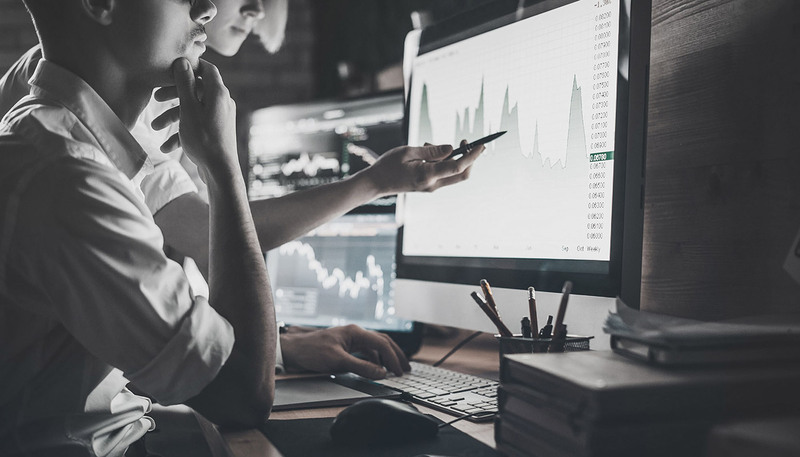 By looking at what industries have the highest burn-rates, and if those burn-rates differ regionally, or by stage of the startup, you may be able to get a better sense of your financial priorities. Top startups who “graduate” (a success metric) from raising another round of funding from pre-seed to series a burn more than the benchmarked average. 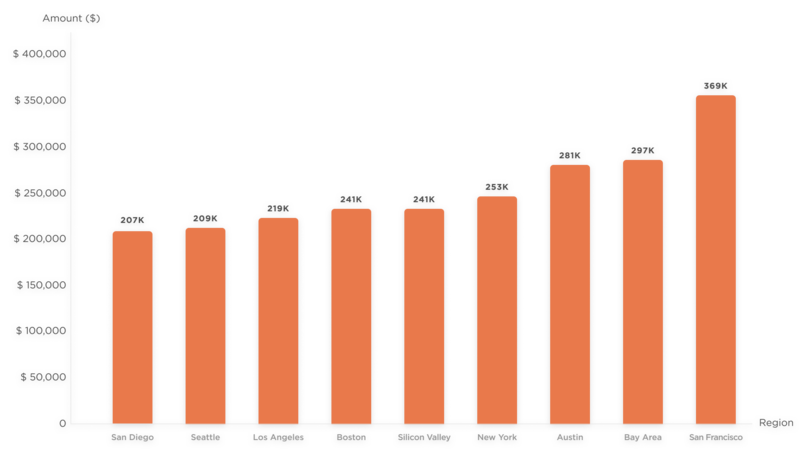 Austin outpaces Silicon Valley’s burn-rate, and has the 3rd highest burn-rate in the U.S.
It’s no surprise that the concentration of VC investment and startup spend are overwhelmingly split on the coasts. However, startups in Austin are seeing an increase in VC investment and startup spend, and the appropriately nicknamed Silicon Hills are gaining ground on companies in the Bay Area in terms of growth, talent, and innovation. Over the years, it will be interesting to see if other regions like Denver or Utah’s Silicon Slopes will outpace Silicon Valley in burn as startups seek untapped engineering talent and new market opportunities. But for now, San Francisco, the Silicon Valley, and outer Bay Area all remain in the top 5 spots for highest VC investment and startup spend. *Silicon Valley includes all companies from Millbrae to just north of San Jose, Bay Area includes all startup companies in the Bay not included in our Silicon Valley or San Francisco calculations. To create a more comprehensive view of these regions we also include a select group of additional startups for the region analysis. It can be difficult as an early stage startup to understand how you compare to your peers, and where you should be investing your money. We hope this analysis has given founders a benchmark to compare themselves to against top startups and also provided insight into how startup companies are using their investment dollars. As part of its underwriting process, Brex maintains visibility into the spending of companies that use its products. Brex looked at hundreds of Y-Combinator companies specifically, across a range of pre-seed companies to series B companies from 2017-2018. Y-Combinator is recognized as one of the top investors in highly successful startups. To compile the data on the YC companies that graduated — that is, those YC companies that successfully raised again and went from one stage to another, we looked at cash increases in overall balances, indicative of fresh funding rounds. We excluded pre-seed companies from the data given the high level of uncertainty of companies at that stage. After removing a few outliers, we then calculated the 25th percentile, the average, and the 75th percentile burn rates for seed, series a, and series b stages. Companies who asked that their data not to be shared were not used, and any company that does not wish to share its data for future aggregated analysis may request to exclude it from being shared in the aggregate.